MUD creates multi-award winning landscape design. We transform your external space into a vibrant and functional garden, perfect for your lifestyle. MUD’s innovative approach honours your natural environment and compliments your architecture, improving the value of your property. Throughout the journey, from Initial Onsite Consultation and presentation of Landscape Concept Design to construction, completion and handover MUD can manage your project, ensuring you achieve the highest standard of finish. Getting your Development Application (DA) over the line can be the most challenging part of the process. MUD has the experience to successfully navigate the local council development approval process on your behalf. MUD also transforms public space into engaging community places. If you have a vacant building, empty lot or other under performing community asset that’s become a liability then MUD can help you transform this into a community and cultural asset. The process begins with an onsite consultation so book yours today. Mark Tisdell founded MUD in 2015 with a commitment to creating vibrant and functional landscape design that improves lifestyle whilst also honoring the surrounding environment, and complimenting the residential or commercial architecture. At MUD several landscape design architects work under Mark, who remains intimate with each project and responsible for overall creative direction. Past projects range in scale from suburban residences and tight inner city terraces to expansive Hunter Valley estates, hotels, wineries, restaurants, aged care establishments and child care centres. 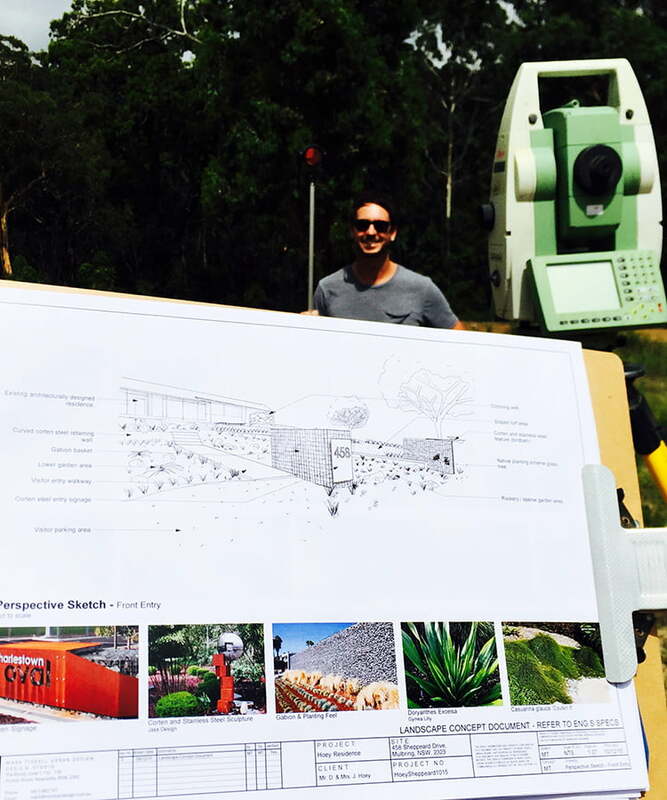 Mark has been designing and creating compelling landscapes since 2011 when he commenced his career with a market leading multinational award winning landscape architecture practice renown for authentic, progressive design excellence. This organisation received numerous national and international industry awards and has been featured in books, publications, and television programs. Mark grew up on the east coast of Australia, from a young age exploring its national parks and beaches. From here grew a deep love for our coastal waterways, understanding of seasonality and appreciation of the local natural environment, flora and fauna. This is evident in his design philosophy which fuses modernism, desert and coastal elements to create engaging and functional external spaces for clients. 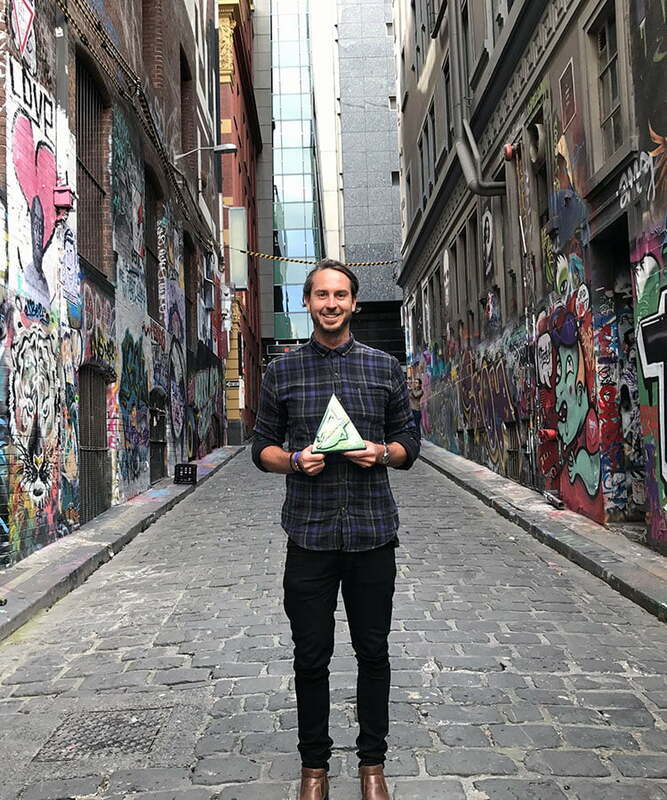 In 2016 Mark was honoured to accept an Australian Institute of Landscape Designers and Managers (AILDM) national landscape design award, accepting the tightly contested Pro Bono ‘Best in category’ & ‘Gold award’ for the Darby Street Community Garden. 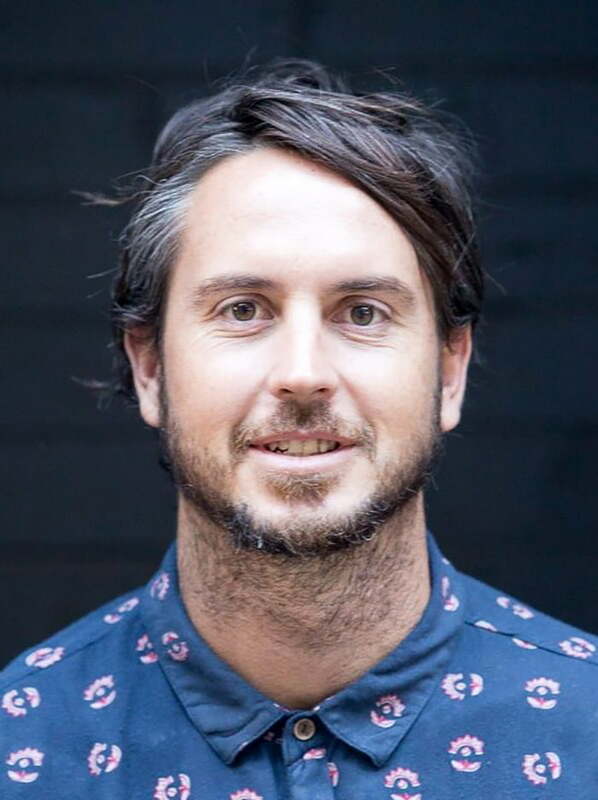 Mark Tisdell holds a Bachelor of Architecture and a Masters of Architecture from the University of Newcastle. He is also on the board of directors and president of The Roost, a community working space home to around 25 businesses. He has a regular yoga practice and enjoys surfing on the weekends. 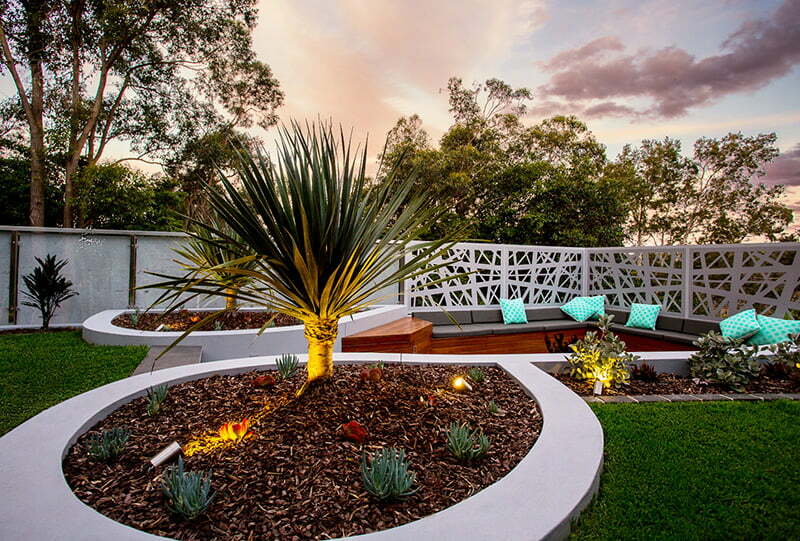 MUD is committed to delivering award winning landscape design that improves your lifestyle. We honour the environment, compliment architecture, and increase property value. As a conscious company MUD benefits our clients, employees, and communities – inspiring others to do the same.